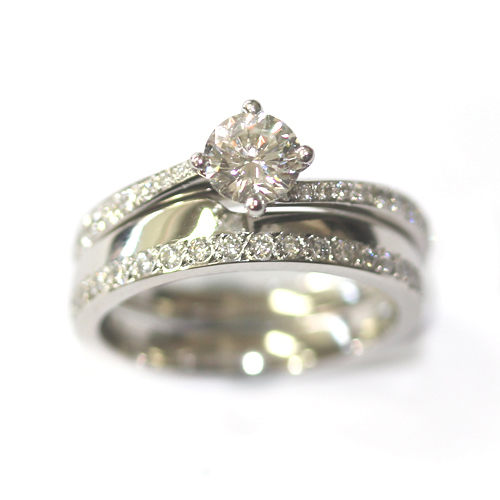 Platinum Diamond Set Fitted Wedding Ring — Form Bespoke Jewellers Ltd. The wrapping shoulders of the customer’s engagement ring meant that it had been difficult for them to find a wedding ring that would sit neatly alongside it. As a working jewellers, this is where we can use our specialist craftsmanship skills to create a bespoke “fitted” wedding ring. This is done by shaping the profile of the wedding ring to match the curving profile of the engagement ring. 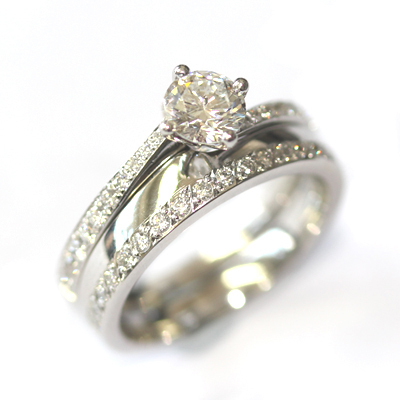 The customer chose for the straight edge of their fitted wedding ring to be diamond set too, for that extra sparkle! This also neatly matched the engagement ring band. 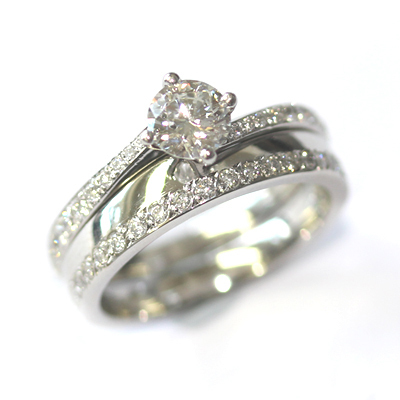 A beautiful and bespoke diamond set fitted wedding ring, cast in platinum.